Kryptowire and a research institute led by University of Illinois at Urbana-Champaign won the 2019 Bang for the Buck Award from the Department of Homeland Security for jointly developing an automated system to detect prepositioned cyber threats. DHS's science and technology directorate recognized the joint effort by Kryptowire and the Critical Infrastructure Resilience Institute during the 2019 S&T Cybersecurity and Innovation Showcase event that took place Wednesday in Washington, D.C., the company said Wednesday. The team created a framework to automatically detect cyber threats in embedded systems, mobile applications, critical infrastructure and internet-of-things platforms. Angelos Stavrou, CEO of Kryptowire, said the framework can help analysts to identify "pre-existing security vulnerabilities in the supply chain that open up mobile and IoT devices to threats, such as the collection of personally identifiable information that cannot be detected by existing mobile threat detection technologies." 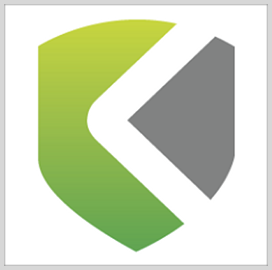 Kryptowire is headquartered in McLean, Va., and offers compliance testing and software assurance products to public and private sector customers.